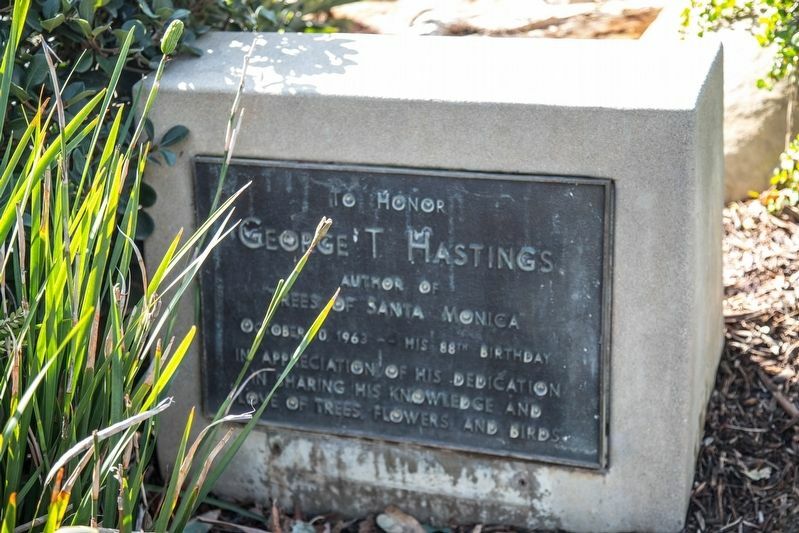 To honor George T. Hastings, author of “Trees of Santa Monica,” October 10, 1963—his 88th birthday—in appreciation of his dedication in sharing his knowledge and love of trees, flowers and birds. Location. 34° 1.072′ N, 118° 30.173′ W. Marker is in Santa Monica, California, in Los Angeles County. 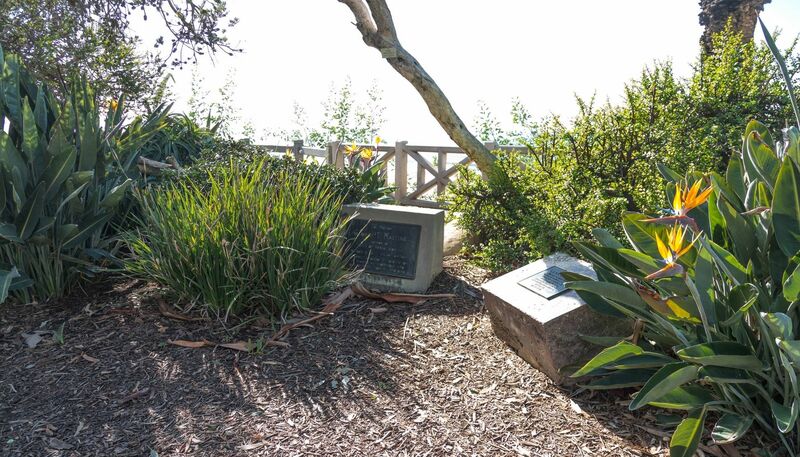 Marker is on Ocean Drive south of California Avenue / California Incline, on the right when traveling south. Touch for map. Marker is in this post office area: Santa Monica CA 90401, United States of America. Touch for directions. (approx. half a mile away); George Washington (approx. 0.6 miles away); The Santa Monica Pier Carousel (approx. 0.7 miles away); Santa Monica Pier (approx. 0.7 miles away). Touch for a list and map of all markers in Santa Monica. More. 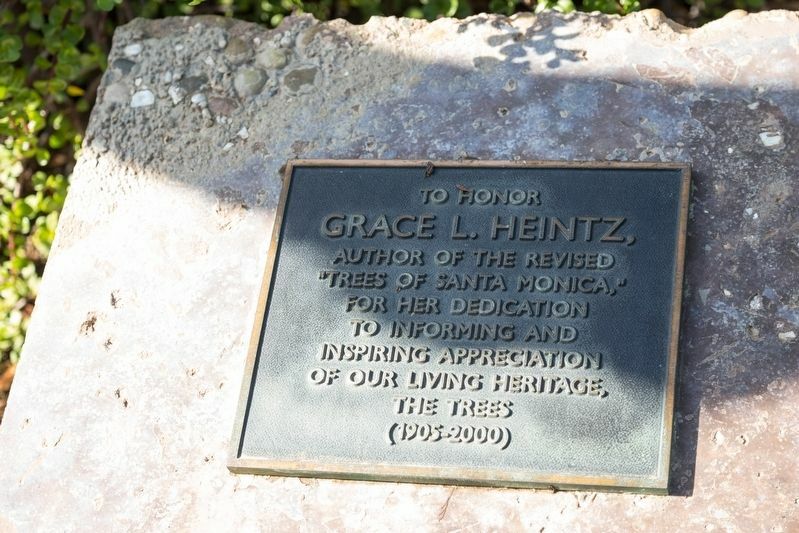 Search the internet for “Trees of Santa Monica”. Credits. This page was last revised on March 1, 2019. This page originally submitted on February 28, 2019, by J. J. Prats of Powell, Ohio. This page has been viewed 46 times since then. Photos: 1, 2, 3, 4. submitted on February 28, 2019, by J. J. Prats of Powell, Ohio. Editor’s want-list for this marker. 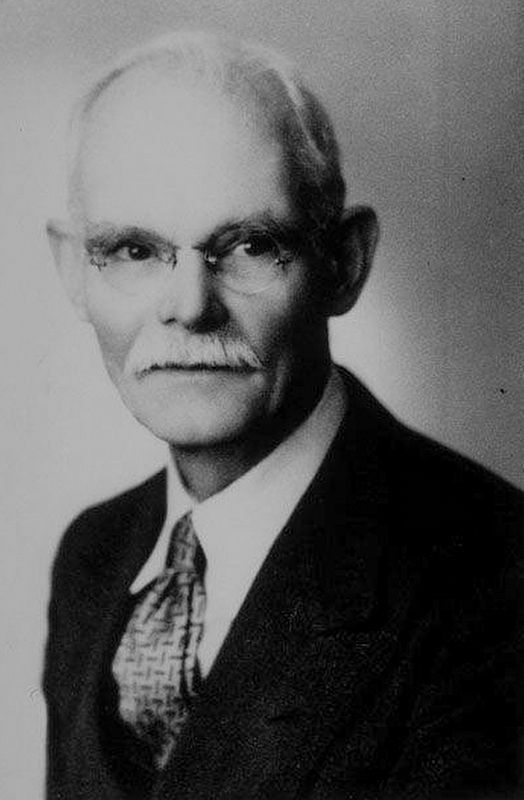 Portrait of Grace L. Heintz • Can you help?